Download the ACP Press eBook Reader from the App Store. (If you go to App store on your device directly, you can search for the app by typing "ACP Press". Once installed, open the app and Tap on the account icon at the bottom. 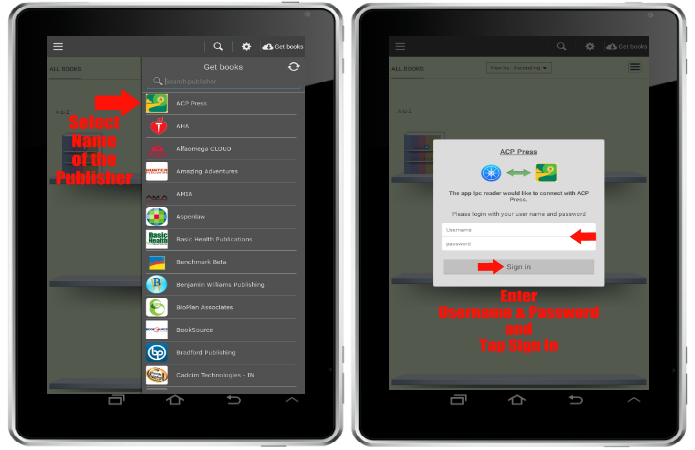 Login to the app with your ACP eBooks username and password. 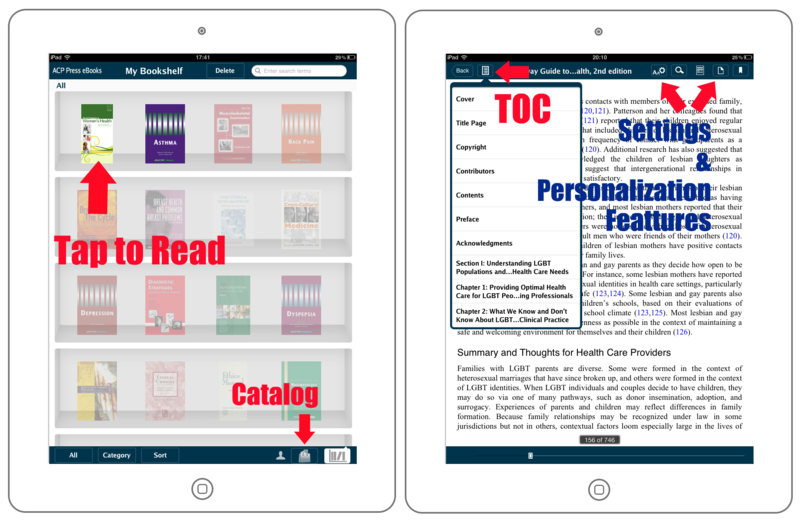 Go to the Bookshelf tab at the bottom & Tap on the eBook Cover to download. Once downloaded, the greyed out cover will show up in full color, tap on the eBook to read offline. 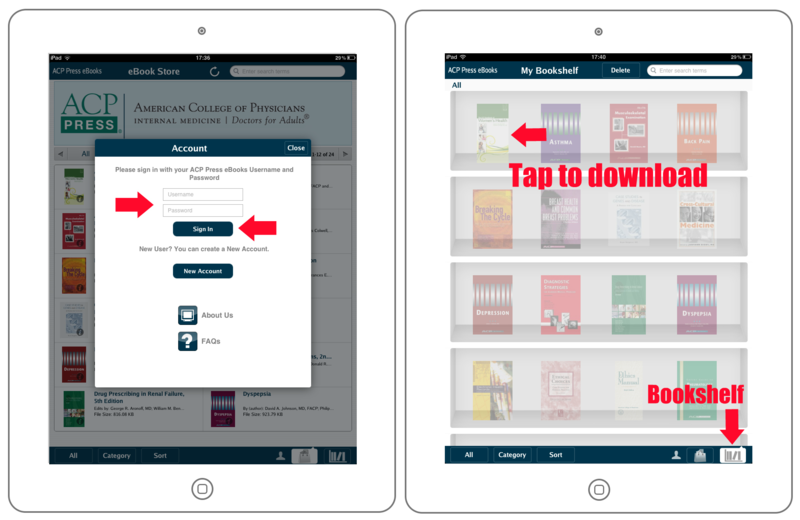 Note: ACP Press eBooks can only be bought through the portal but can be downloaded to your iPad. Download the iPublishCentral Reader from the Play Store. 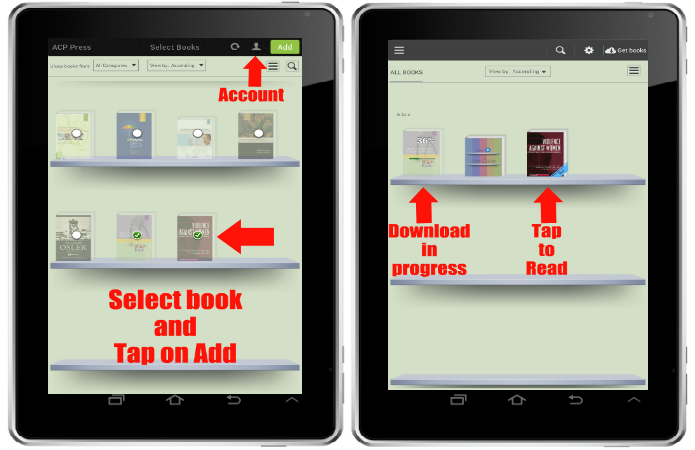 Tap on Get Books and select ACP Press eBooks from the drop down. If you are having trouble downloading or installing iPublishCentral Reader(Previously iOffline Reader), Please clear your browser cache and cookies and try downloading again or try using a different browser(ex :Mozilla Firefox). (Google Chrome will cause difficulty during installation as it has compatibility issues). Also ensure you have updated version of Adobe Air on your computer. Enter www.acppress-ebooks.com in the Site URL field.. 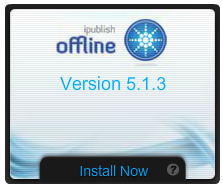 Note : iPublishCentral reader for Desktop(formerly iOffline is for use on computer only and not for tablets or other devices.